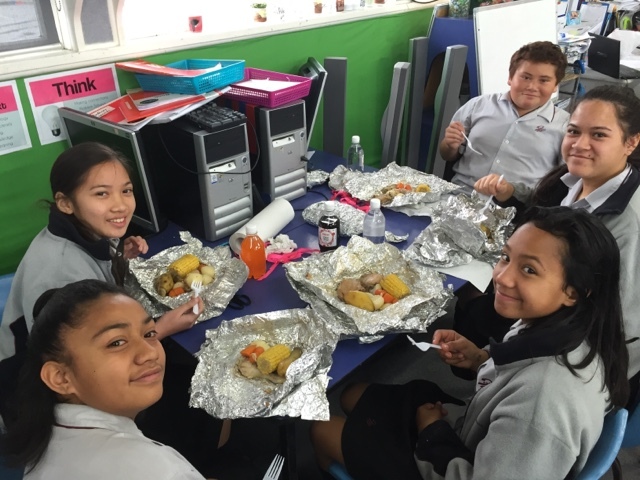 As part of our Matariki celebration we had a Hangi lunch. 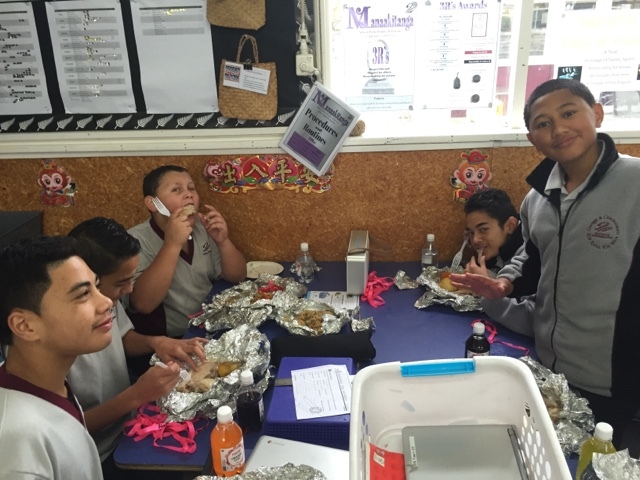 In groups Taeotu 1 students planned and delegated roles to organise their Hangi. 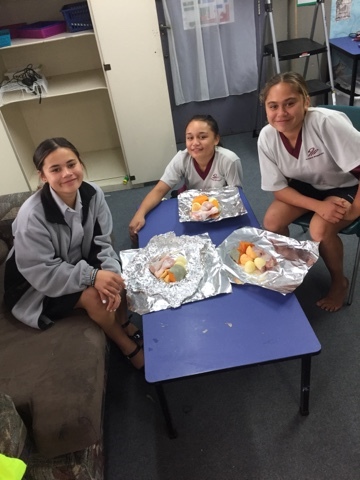 They prepared and packaged their own Hangi which were then cooked in the Ohinemutu steam boxes. Yum!!! Yum i bet it was nice! 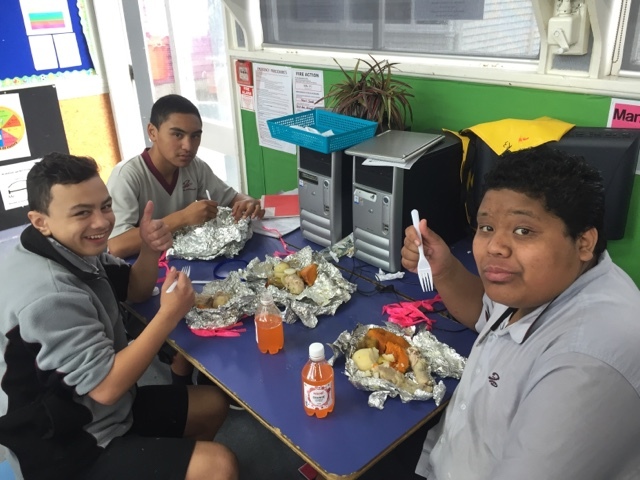 Wow, you guys must of had an exciting day, you made everyone hungry.